There are various elephant parks in Thailand, and when you are at different place there, you may have different Elephant Tour. 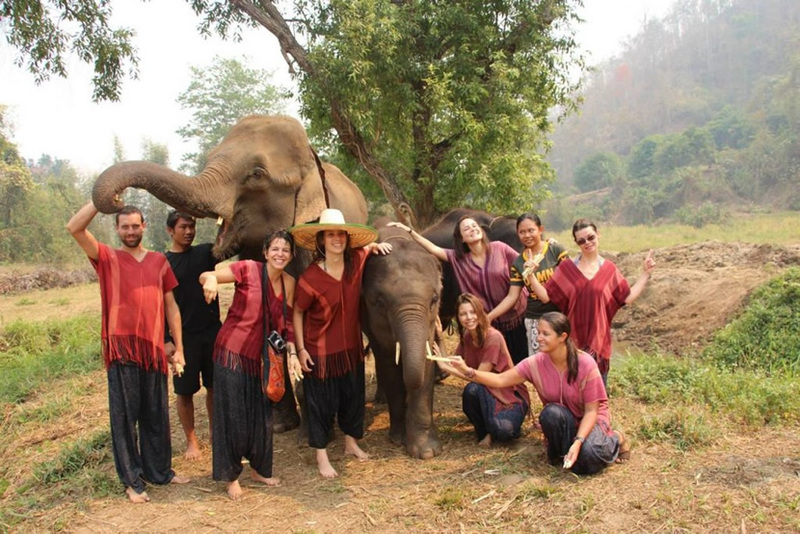 Here we are sharing the Top 10 Elephant Tour in Thailand, from which you can have different experience that will make your tour in Thailand unforgettable, and you can choose the suitable one according to your need, but of course, all the Elephant Sanctuary tours recommended here are worthy a try. Pattaya Elephant Village lies in 48/120, Moo 7, Tambol Nong Prue, Pattaya, Thaialnd. You can enjoy the wonderful performances of the elephants here, including elephants bathing, drum performance and the train of elephant logging. Elephant Nature Park is located in 209/2 Sridom Chai Road, Chiang Mai, Thailand. The park is mainly a semi wild refuge for some masochistic or retired elephants. 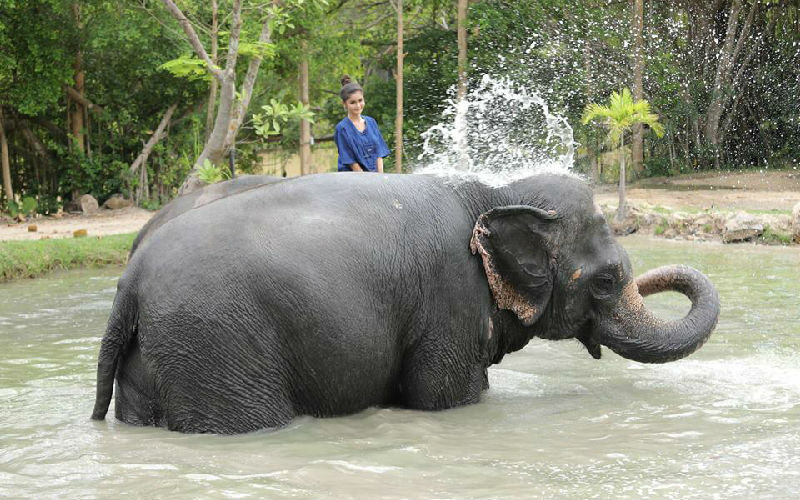 Visitors can reach close contact, feed and take a bath for elephants. Ran Tong is also relatively old protection of elephant in Chiang Mai. Since 2009, Ran Tong has saved more than 40 elephants, and there are 22 elephants living in the camp. Ran Tong is located in Mei Deng, in the same way as the Elephant Natural Park, but they are separated by a mountain. MaeSa Elephant Camp is situated on 119/9 Tapae Rd., Muang District, Chiang Mai 50100 Thailand. It is located in 14 kilometers north of Chiang Mai, and it is the largest elephant training camp. MaeSa Elephant Camp has many kinds of acrobatic performances, and visitors can ride elephants here. You can ride elephant near Damnoen's Floating Market. Damnoen's floating market, located in the southwest of Bangkok, about 80 kilometers from urban district. You may love to go to the elephant camp, which is in Damnoen's floating market, and experience jungle rides. There are many ways to ride the elephant in Safari Elephant Park. Visitors can choose the ways of "three in one, five in one, nine in one", which includes a lot of different elements and various prices. Seaview Elephant Camp is seated in Naiharn beach. Its address is that Saiyuan Road | Kata, Kathu, Phuket, Thailand. You can ride on the back of a meekly elephant and walk leisurely on the half of the coast. An adult must pay for it 60 yuan while a child 40 yuan. Koh Chang is located in the southeast of Bangkok. You can go there by bus in Ekkamai bus station or Mo chit bus station. Or you can reach Koh Chang by mini bus in Victory Monument, and buy car and boat couplet ticket. When you arrive on the island, you can take a taxi. You can also attend a lot of activities, such as riding Elephants, watching waterfalls, bubbling mountain springs, snorkeling, sea fishing. 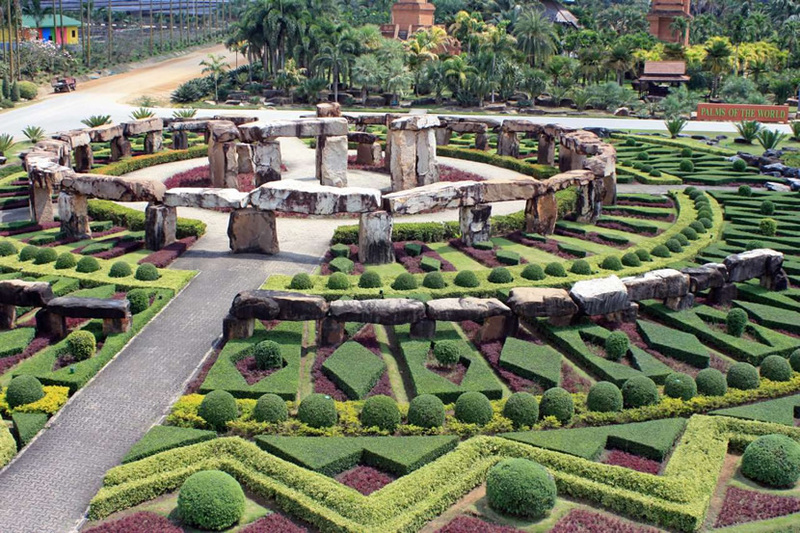 Thailand Nong Nooch Village, located in the southeast of Pattaya, covers an area of more than 200 hectares. It is one of the largest and most beautiful, tropical and botanical gardens in Southeast Asia. There are more than ten thousand species of plants here. The elephant's performance in the garden is particularly wonderful, and the elephant can ride, play football and do a foot massage for people. This large animal world, covers an area of 300 acres, is located in the Bangkok suburb of Minburi District and it is 9 kilometers far from the road sign on Ramindra road. You can take the 26 bus on the Democratic Monument to go there. Safari World raises many rare wild animals from all over the world, including elephant.